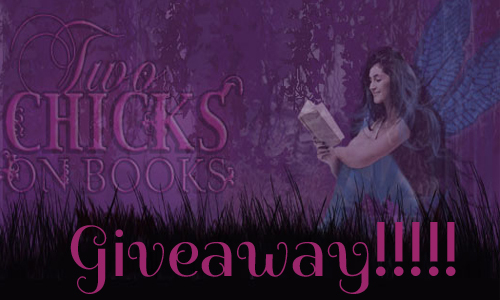 Two Chicks On Books: Giveaway- POISON PRINCESS by Kresley Cole Signed!!!!! 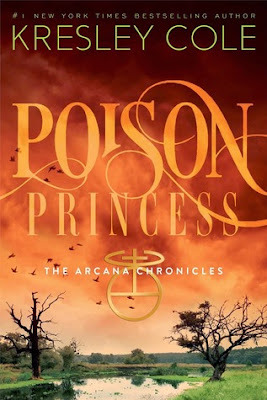 Giveaway- POISON PRINCESS by Kresley Cole Signed!!!!! I am so excited to be able to share this with you! With the novella and book 4 of The Arcana Chronicles coming out in August I have teamed up with Kresley Cole for a Giveaway! Kresley has signed FIVE copies of POISON PRINCESS for some lucky winners! Are you new to the series? Well this is a great way to start it and if you're already a fan who wouldn't want a signed edition for their bookshelves! Haven't heard of POISON PRINCESS? Check it out! #1 New York Times bestselling author Kresley Cole introduces The Arcana Chronicles, post-apocalyptic tales filled with riveting action, the dark mysticism of Tarot cards, and breathtaking romance.She could save the world—or destroy it. Sixteen year old Evangeline “Evie” Greene leads a charmed life, until she begins experiencing horrifying hallucinations. When an apocalyptic event decimates her Louisiana hometown, Evie realizes her hallucinations were actually visions of the future—and they’re still happening. Fighting for her life and desperate for answers, she must turn to her wrong-side-of-the-bayou classmate: Jack Deveaux. But she can’t do either alone. With his mile-long rap sheet, wicked grin, and bad attitude, Jack is like no boy Evie has ever known. Even though he once scorned her and everything she represented, he agrees to protect Evie on her quest. She knows she can’t totally depend on Jack. If he ever cast that wicked grin her way, could she possibly resist him? Who can Evie trust? As Jack and Evie race to find the source of her visions, they meet others who have gotten the same call. An ancient prophesy is being played out, and Evie is not the only one with special powers. A group of twenty-two teens has been chosen to reenact the ultimate battle between good and evil. But it’s not always clear who is on which side…. In answer, he pulled his shirt over his head, revealing rigid planes of muscles. Yes, I’d caught glimpses of him shirtless before—but this was the first time I’d utterly lost my breath looking at him. His face and his broad chest were still tanned, his eyes seeming to glow in the moonlight. That onyx rosary around his neck glinted with his movements. He was stripping before my eyes, yet I couldn’t look away. I bit my bottom lip. As he began to unbuckle his belt, his stomach muscles rippled. When he reached his zipper, he cocked his head and met my gaze. I was frozen, could do nothing but stare. He raised his eyebrows at me in challenge, his fingers inching his zipper down. In the space of a heartbeat, he’d snagged my pack off my back, looped an arm around my waist—and hauled us both into the pool. Are you excited??? Here's the giveaway details! 5 winners will receive a signed copy of POISON PRINCESS, US Only! Haven't read the other books in the series? Grab them now! And pre-order the books coming out in August! I've not read this series but it's been on my list to do so for a while. I'd love to win Poison Princess to get me going! THANKS for the giveaway! So much promised excitement and tension between the characters--this sounds really good! I love the sound of Poison Princess. Thanks for the post! This has been on my TBR for so long! Definitely need to read it and really grateful for the opportunity!! I really have enjoyed all of your books so far and am sure I'll love this one too :). Already preordered 4 & 5. Poisoned Princess sounds like something that I would fall madly for and not be able to put down! WOW! Thank you so much for this giveaway and opportunity! Poison Princess sounds SO awesome!! Haven't read this series yet, but I hope to start soon!